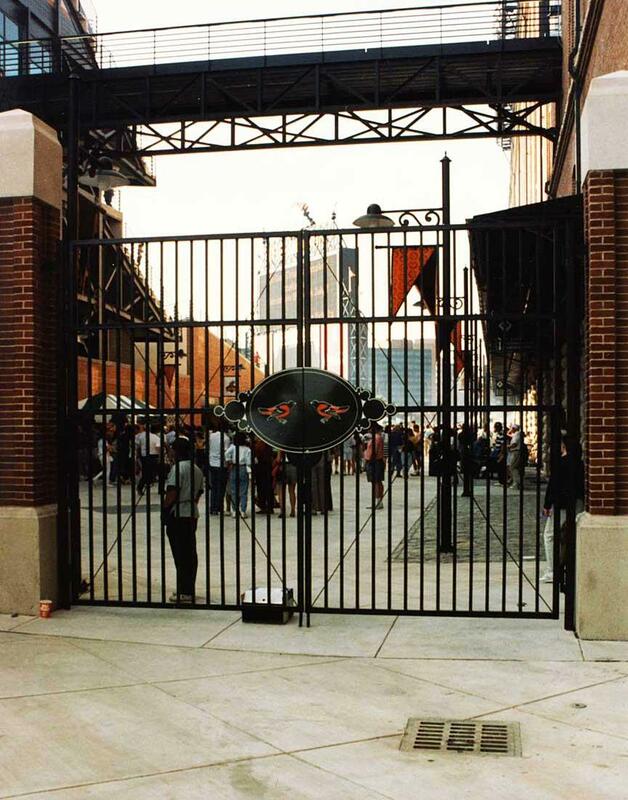 I had the good fortune to attend a game at Oriole Park at Camden Yards, Baltimore, during the first season the ballpark was open. 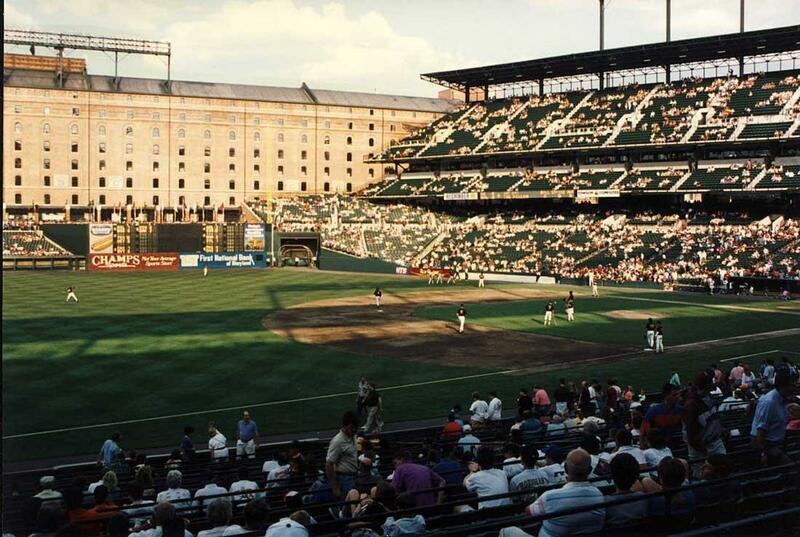 Previously, I had been to several games at Baltimore's Memorial Stadium, including Game 2 of the 1979 World Series. 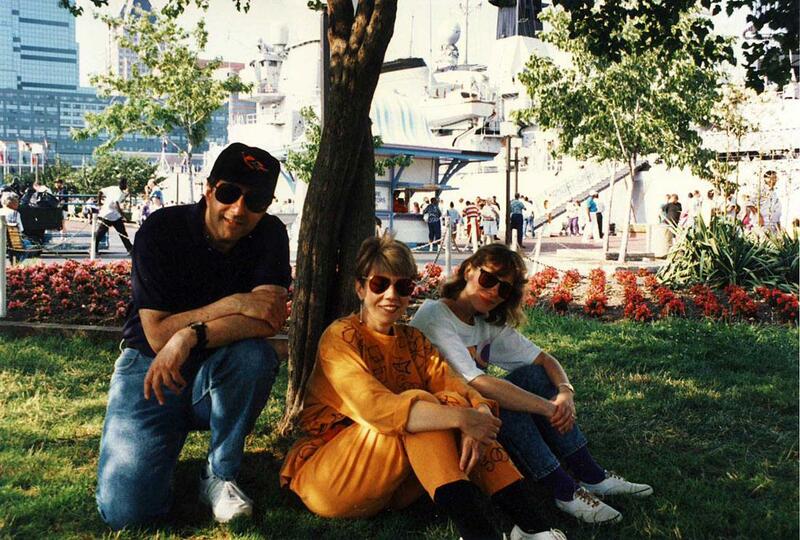 My wife and I attended this game in July 1992 with our friend, Adrienne (middle below), who lives in the Maryland suburbs of DC. 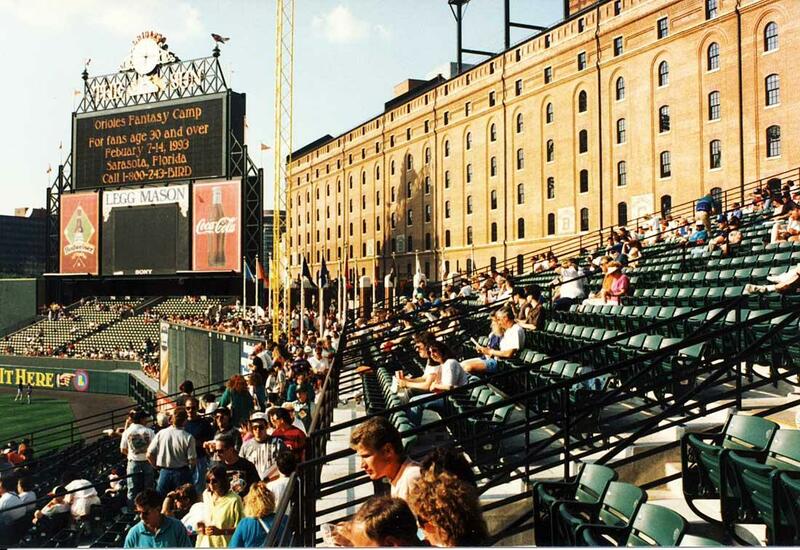 Here we are below at Baltimore's Harborplace, waiting to go to the game. 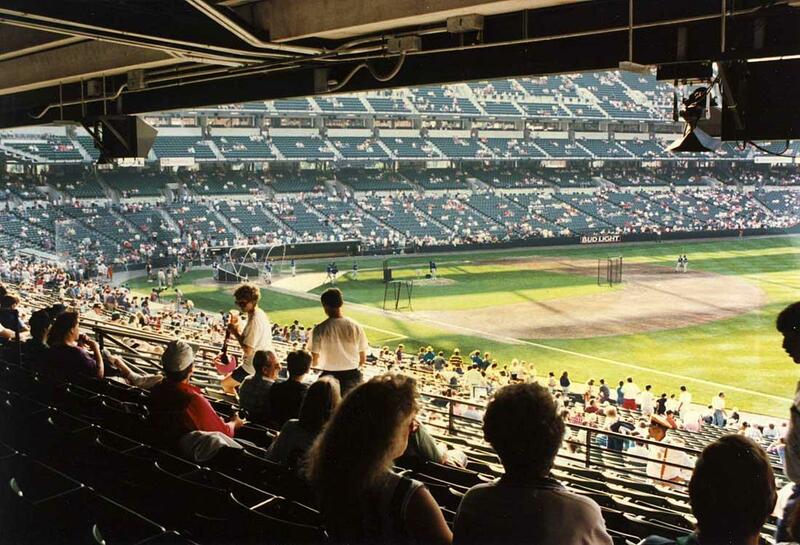 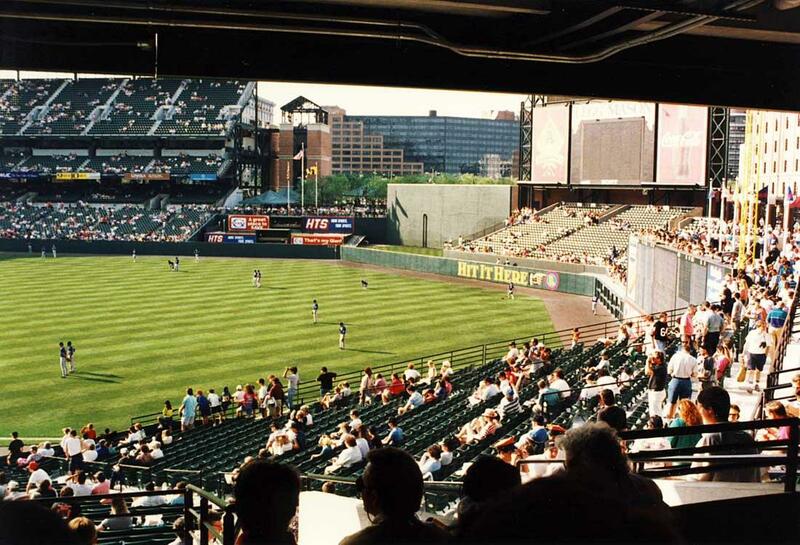 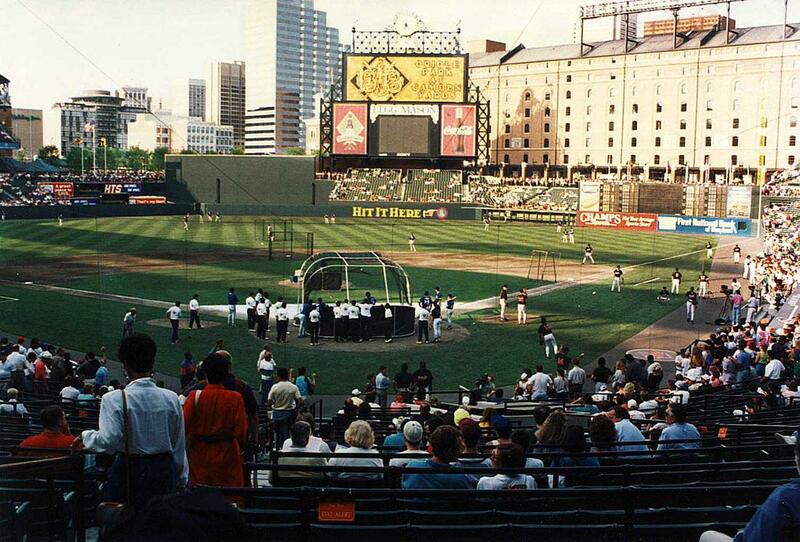 After the nightmarish era in which MLB had a variety of really dull astroturf ballparks, Camden Yards was the first of a new era of exciting ballparks with personality and class. 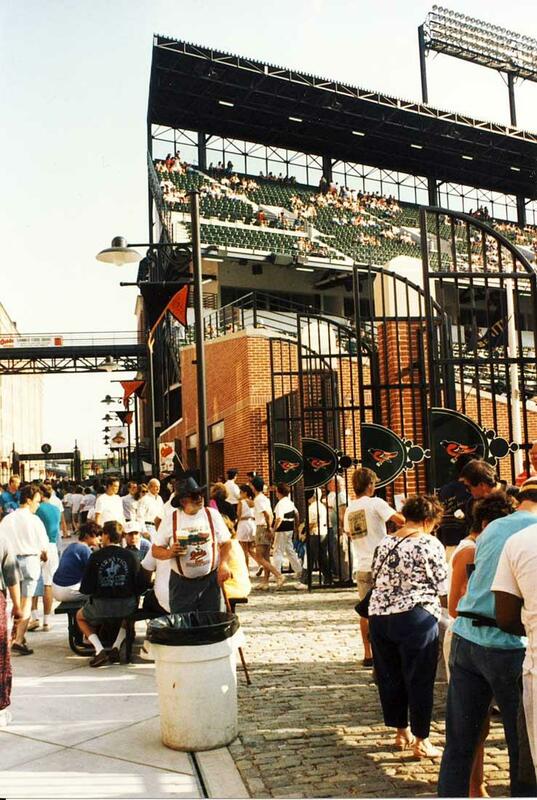 There was good food to be had in the promenade area, including Boog Powell's BBQ. 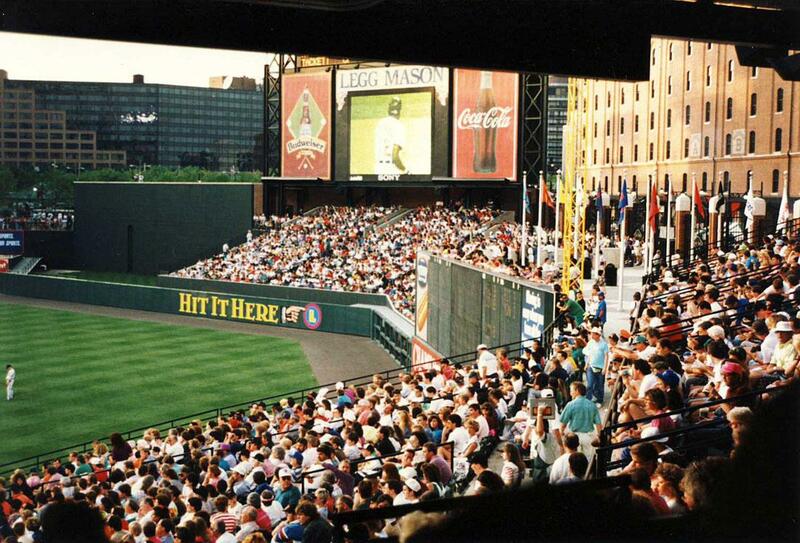 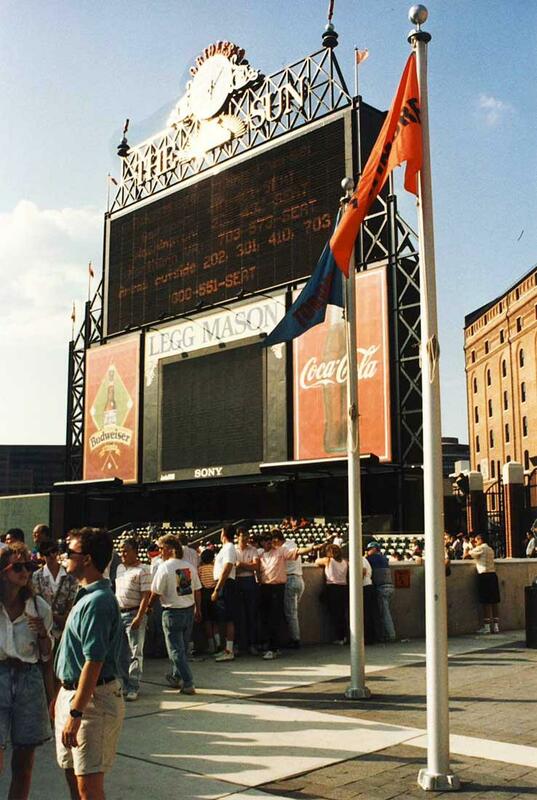 Here we are on the Eutaw Street promenade looking up at the right field stands.